iOS 7 Has Already Been Jailbroken, And Here’s Proof! - iPhone.MY - Daily News On Mac, iPhone, iPads, iPods and more! Can it be jailbroken? That’s the first question a large number of iPhone, iPad, and iPod touch users ask when Apple releases a new iOS update — particularly when it’s a release as big as iOS 7. Apple attempts to block all the vulnerabilities that make jailbreaking possible with iOS updates, so there’s always a concern that the next will kill jailbreaking once and for all. 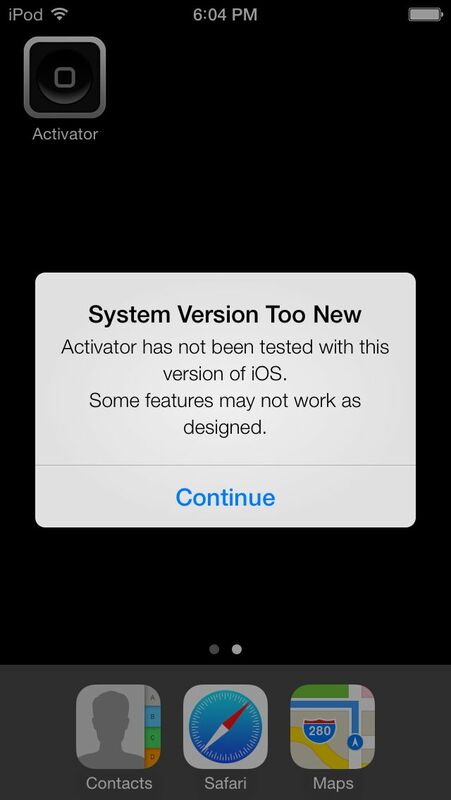 Thankfully, it doesn’t look like that will be the case with iOS 7, which has already been jailbroken. iOS developer Ryan Petrich, who is responsible for popular tweaks like Activator, DietBar, FullForce, and LiveClock, posted a picture of his jailbroken iPod touch, which is running the iOS 7 beta, on Twitter last night. He didn’t say too much about it. In fact, he didn’t acknowledge the jailbreak at all. 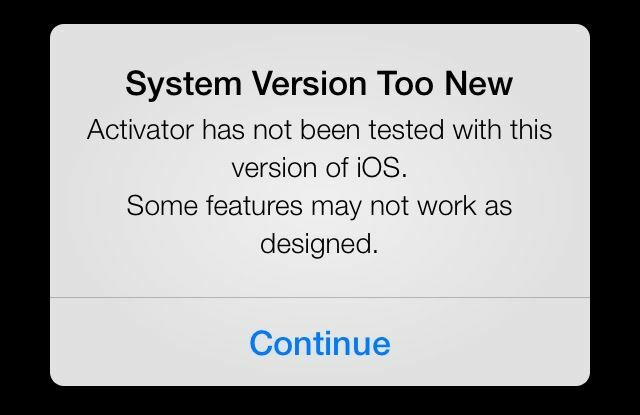 He simply wrote “System version too new?” in reference to an error he received when attempting to run Activator. Clearly iOS 7 is jailbreakable, then, but it’s strange that this hasn’t really been mentioned at all yet. Hackers are typically keen to boast about breaking into Apple’s latest iOS release as soon as they can — it happened within 24 hours when the iOS 6 beta was release last year — but we’re yet to hear anything about an early iOS 7 jailbreak. It’s possible the team or individual behind the exploit wants to keep it quiet for now to save too many questions ahead of the update’s public release. There’s also a chance that Apple could patch more vulnerabilities before then, which could render early jailbreaks useless. This is certainly a promising sign for those who want an iOS jailbreak, though.